Facebook likes - how can I find my history of the posts I've liked? So, how many photos, updates, web pages, and other online items have you liked on Facebook? A few dozens? Hundreds? Maybe even (gulp) thousands? If you’ve lost track of your various Facebook likes over the years, a quick trip to your “Activity Log” on Facebook will jog your memory. Want to “unlike” an old “like,” or hide a liked Facebook fan page from your profile? You can do that, too. 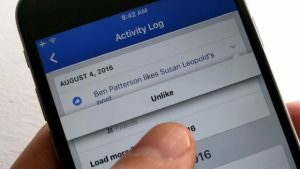 You can unlike anything you’ve previously “liked” using Facebook’s Activity Log. First, visit your Facebook profile. Tap the three-line menu button in the corner of the screen (the bottom-right corner for iOS, or the top-right for Android), then tap your name at the top of the menu. Next, tap the Activity Log button just below your profile image; doing so will take you to a screen with a long list of months and years. Tap one, and you’ll see a log of all your activity on Facebook for that particular date range. Since we only want to see “likes,” we’re going to do a little filtering. Tap the Filter button near the top of the screen, then tap Likes. Now, back at the main Activity Log screen, tap a date to see everything you “liked” in a given month or year. To unlike something, tap the little down-arrow on the right side of an item, then tap Unlike. 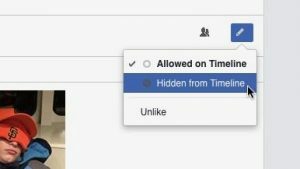 If the thing you liked was a Facebook fan page, you’ll also have the option to hide the “like” from your timeline. With a little help from the Activity Log, you can hide a “liked” Facebook fan page from your profile. Just as on mobile, the first step to viewing all your Facebook likes is to visit your profile page. To get there, tap your name in the blue stripe at the top of any Facebook page. Once you’ve reached your profile, click the View Activity Log button to the right of your profile image. To filter your log so you’re only seeing the stuff you liked, click the Likes button in the left column of the screen. See all your Facebook likes? Perfect. 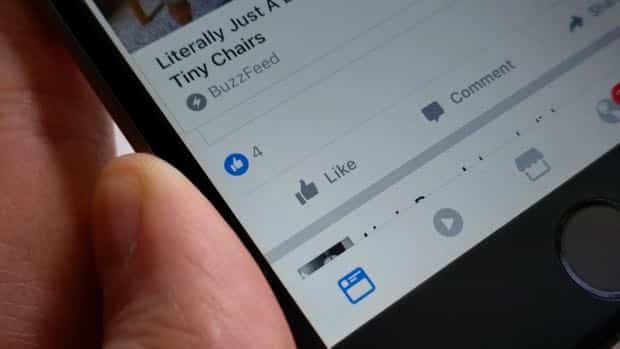 To unlike something, click the little Edit button (the one that looks like a pencil) on the right side of an item’s entry—and just as you can on mobile, you’ll have the option to hide a liked Facebook fan page from your profile.